Modern boxing traces its roots directly to Great Britain. And down to this day, the English are passionate supporters of their fighters. While American Deontay Wilder still struggles to fill arenas in the United States, Anthony Joshua is selling out soccer stadiums in the U.K. And make no mistake, that is about the respective fan bases, not the fighters. If Wilder were British and Joshua a Yank, their respective drawing power right now would still be more or less the same. 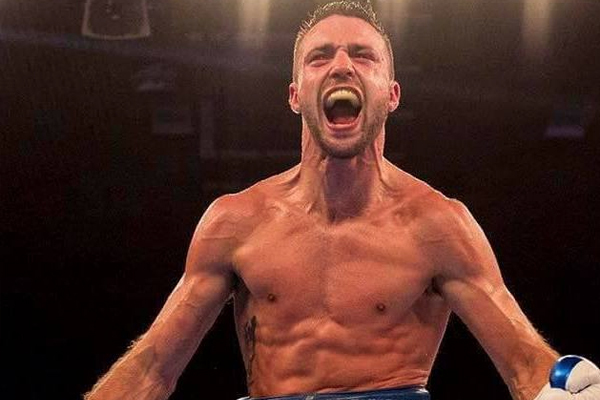 Fans across the pond think they have another special fighter on the rise right now in Josh Taylor. The super lightweight has just a dozen professional bouts but has already shown potential greatness. He is undefeated with 11 wins coming within the distance. Most impressive in my mind is his Round 9 KO of Miguel Vazquez. “El Titere” is one of the great defensive fighters of this generation. Good offensive fighters have struggled to put a glove on him. It says a lot about the confidence Taylor’s team has that they have matched him so soon against Viktor Postol. The Ukrainian is an extremely tall, long 140-pound fighter with outstanding technical boxing skills. Thanks to his work with Freddie Roach, he has developed dangerous punching power to go along with his technical skill. In 2015 he pushed himself into the world spotlight by stopping the relentless and dangerous Lucas Matthysse. Postol’s lone loss came to Terence Crawford, by one-sided unanimous decision. That’s what make this fight so interesting. Even if Taylor can pass this big test, it will give an interesting measuring stick for him against a fighter like Crawford. I have already seen British fans argue that he deserves to be placed in that kind of company. We’ll see. I will say, given the enthusiasm of the English fans, I would not mind seeing them develop another possible international star. Ricky Hatton’s fights with Floyd Mayweather and Manny Pacquiao were huge boxing events in the previous decade. It could be very exciting if he can develop into a pay-per-view star against the likes of Vasyl Lomachenko or Mikey Garcia.